Greek Brands team, visited the Summer Fancy Food Show held in New York the past weekend. The experience was unique. Once again, the city amazed us. Everything here happens in maximum speed, the city has a vibrant pulse that never stops. 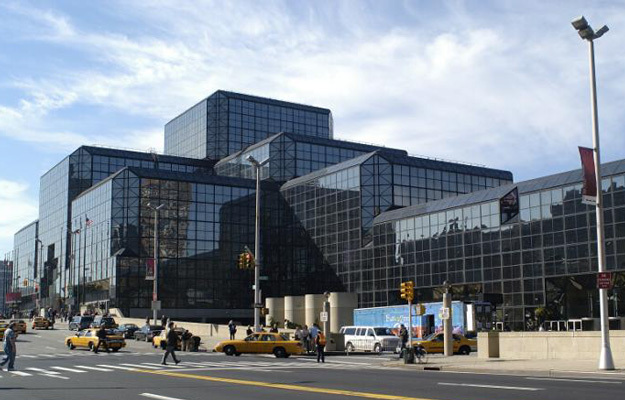 The spotlight was on Javits Center, where the food show was held. We tasted very interesting flavors, we met exciting people who love what they do, and had a wonderful time cathing up the trends in the food sector. We enjoyed discovering new flavors, new uses to standard ingredients and of course talking with major influencers of the business. We were pleased to see a variety of Greek products standing out due to their superior quality and flavor characteristics. Generally, the Food show, apart from its international colours, had kept an ethnic character. We also noticed that health claims are on the rise on food labeling, due to high consumer awareness around health and nutrition issues. We are optimistic about the future of the food business, after we witnessed such bright examples of success. If you want to thrive, you cannot afford to complacent. Your wholesale partner, for Greek Fine Foods. 29 Argiroupoleos Avenue 16451, Athens, Greece.